My wife and I travelled to Kuching for a short trip today. AirAsia is the obvious choice as right now it is not peak season and you can get very good deal from the low cost carrier. Terminal 2 of Kota Kinabalu International Airport is quite modest in comparison to Terminal 1 - without aerobridge, lacking the luxury amenities but the basic ones are all there. 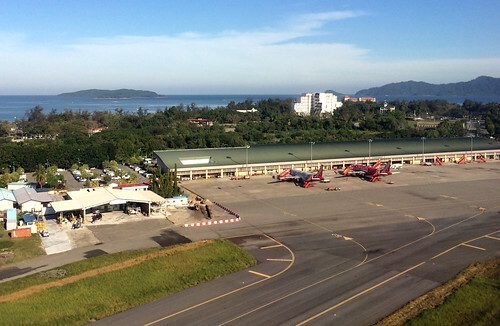 Aircrafts taking off and landing at KKIA use the same strip of land at the airport. The difference is the entry/exit point. T1 is more equipped and handles more carriers, and understandably charges more in airport tax. 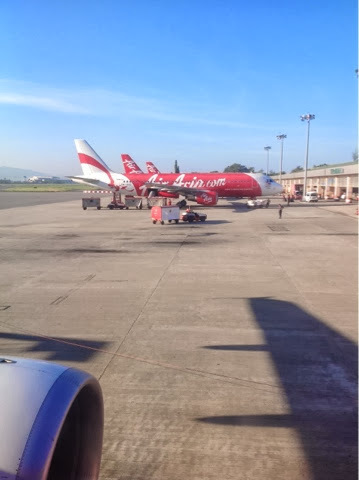 AirAsia said the airport tax at T1 is RM65 and I agree, for a traveling family of 6 this would be quite costly when compared to the off-peak ticket prices to selected destinations which can be as low as RM19 - RM99. On the one hand, AirAsia has every right to shift its operations elsewhere cheaper. On the other hand it owes Sabah (at least) socially because Sabah did help him when he started up the company and no one was willing to finance him. Terminal 2 seen from the ascending plane. 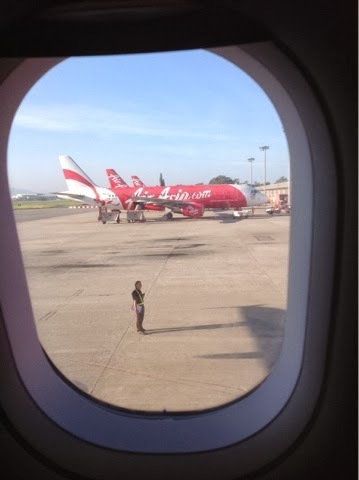 Quarters who supported Malaysia Airport's insistence that AirAsia must move to T1 contended that AirAsia should absorb some of the higher cost of operating from the terminal. But I believe consumers too, have the right to have access to more favourable traveling costs. If cheaper tickets can only be made possible at T2, then retain it. Let AirAsia operate from there. Many travelers are willing to fly without all the frills available on more costly ones like MAS, SIA, etc., and pay cheaper fares. Don't take that away from them!